Mind Bomb: P026: Cabeza de Vaca – Spanish Electronica Part III. P026: Cabeza de Vaca – Spanish Electronica Part III. 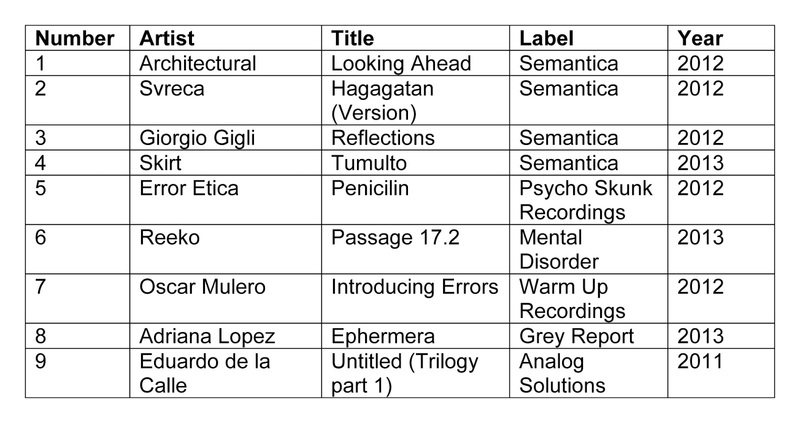 Already up on Cabeza de Vaca and Scanner FM is the third and final installment (for now) of our series on Spanish electronica. This week we turn our attention to the seminal Semantica label run by Svreca aka Enrique Mena. Easily one of the best labels in the world as well as Spain, with its exceptional design and its advanced sound, always predictive and ahead of the pack. There is also room for two tracks by Juan Rico aka Reeko and Architectural who is one of the most in-form producers in the peninsula at the moment.